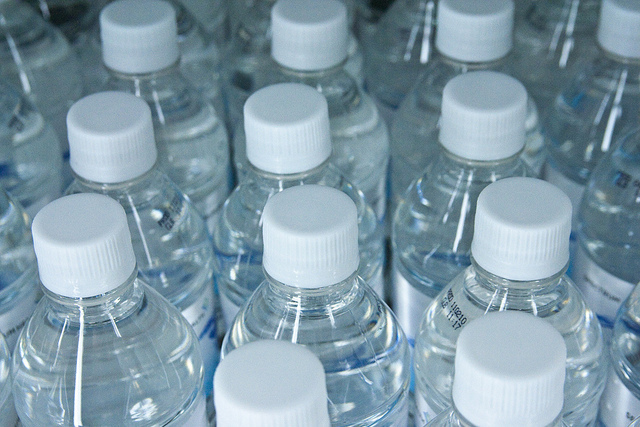 The past couple of weeks have had renewed anger about water bottling plants. If you buy land with water drawing rights attached to it, you don’t get charged for drawing that water. 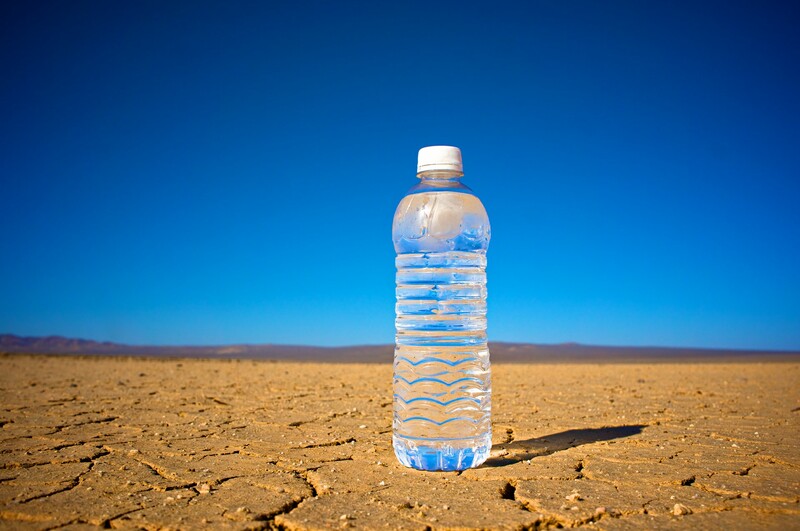 The value of the water is baked into the selling price of the land. And so whoever owns the land with the drawing rights gets to appropriate any unexpected increase in the value of water drawing rights, and anybody buying land at market with those rights would, expectationally, only wind up earning a normal rate of return on that investment. So far so good. But when people buy land to irrigate paddocks, run cows, milk the cows, dry the water out of the milk, and export the milk powder to China, nobody gets too upset. When they just bottle the water directly and export it to China, nationalists get mad and anti-corporate people see it as a big giveaway. Credit: Steven Depolo / flickr. Labour’s proposing charging water exporters. I expect it’s feasible to do it, or at least for new plants. But the underlying problems are all still there: nobody really knows whether the highest valued use of water is in spraying it onto paddocks, or in bottling it for export, or leaving it in the river. If you put a charge on one type of water drawing, but not on the others, and if it turns out that the water really is more valuable being bottled directly, then you could be doing harm. So the underlying problem is getting the right allocation of water across potential users, within constraints imposed by existing use rights and likely iwi ownership claims if drawing rights ever turned into more formal property rights. Charging water exporters for drawing solves a political problem, but otherwise doesn’t do much good. Land with water drawing rights already attracts a premium reflecting the value of the water. Any charge on bottling plants then requires that bottlers put a higher value on water than do irrigators: the bottler not only has to outbid an irrigator for the land, but also has to pay some premium on top. Since there aren’t a ton of these things showing up, the value of water to bottlers can’t be *that* much higher than the value to irrigators. What’s a potential solution then? Fritz Raffensperger proposed a pretty innovative water trading system for the Canterbury plains, where the underlying hydrology was mapped well enough. It recognised the flow-on effects of drawing from a pile of different node-points on a pile of other node-points, and set node-pricing accordingly. Then, holders of drawing rights could trade: buying the right to draw more, or selling back their existing allocations, with water flowing to its highest valued use. But what about the environment and rivers? His system allowed a minimum flow constraint that would automatically scale back drawing rights in dry years to maintain a minimum flow rate. So how do you manage the politics around all of it and incipient iwi claims? I don’t know if the sketch below would work, but I think it’s a starting point. First, define the minimum flow of a river for it still to really be that river. Maybe the flow rate that’s at, say, the 25th percentile of unencumbered flow in a typical year. I don’t know what the right number is there, but there will be one. That can be the minimum flow rate in the Raffensperger trading setup. Next declare that the river owns itself, but that the local iwi is its guardian and acts on its behalf. Grant the iwi rights to another margin on top of the river’s minimum flow rate. They can leave it in the river, or they can sell it to other users; they could also buy back drawing rights from other users to achieve higher river flow. And so too could folks like Fish & Game for rivers where they’d want higher flow for trout fishing. Waiau River, Canterbury. Credit: Ulrich Lange / Wikimedia. Finally, existing drawing rights have to be respected. If the catchment is already over-allocated relative to sustainable extraction rates, then you have to scale things. We already have that kind of setup in the fishing quota management system where quota landings are a fraction of the year’s declared total allowable catch, with the TAC varying as sustainable harvest rates vary. The government might have to buy back drawing rights if the catchment is over-allocated once the minimum river flow and iwi allotments are sorted. On the other side, though, the government would earn money through selling drawing rights in under-allocated catchments. Then run the Raffensperger water trading model. There would need to be a bit of fiddling because irrigation has some water flow back into the rivers/aquifer and bottling plants don’t, but it could be sorted. The government would buy back drawing rights through that setup to get over-allocated catchments into line. That’s just a first cut sketch at a solution: it would need a fair bit of working up yet. And there are plausibly other better solutions. But this one at least is trying to get at the real underlying problems. And of course it would all be better if partnered with a market in effluent built on the kind of model Taupo’s running for nutrient management. Water flows to its most highly valued use. Setting initial minimum flow constraints would be very contentious and risk locking in too high a level (note that it’s easier to buy water back into the river if the flow constraint is too low than it is to get agreement to ease a too-high constraint later). The politics could still be a disaster. I’ve specified here what seems to me a reasonable outcome of a negotiation process, but iwi would likely open by claiming that all water is theirs and the Crown claiming none of it is and farmers objecting to minimum flow constraints in dry years. And assigning ownership of residual drawing rights in under-allocated catchments to Council, iwi, or Crown would be contentious. As an economist, I just invoke Coase and note that I don’t care who owns it so long as they can then trade it. Maybe they could each get some of the unallocated parts. How to handle dry years is still a problem. If you set the drawing rights like fishing quota, as part-shares of the available water that year, then farmers needing set water volumes for stock on hand would face very high costs in buying that water – while the river maintained normal flow. If it’s instead a quantity right that doesn’t scale, the government would need to buy back allocation to maintain minimum river flow – and that would be expensive. Ultimately the thing likely needs to scale the minimum flow constraint to the shadow price that drops out of the optimisation.